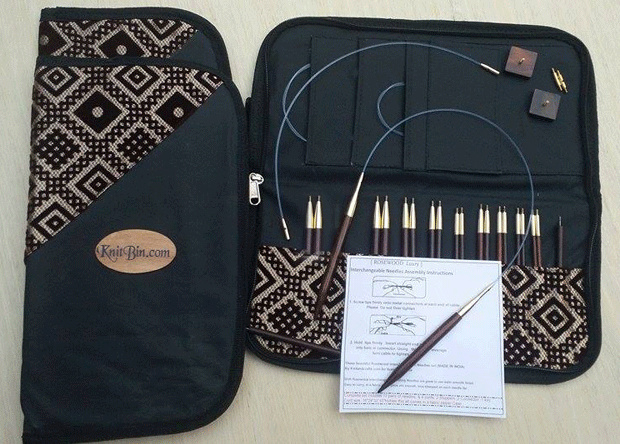 Exclusive, high quality, interchangeable needle sets featuring beautiful, warm rosewood tips, flexible cables, and smooth swivel joins. The sharp 5.5" tips are a joy to work with on detailed projects. The Small set includes 5 sets of needle tips (US 4/3.5mm - US 8/5mm). 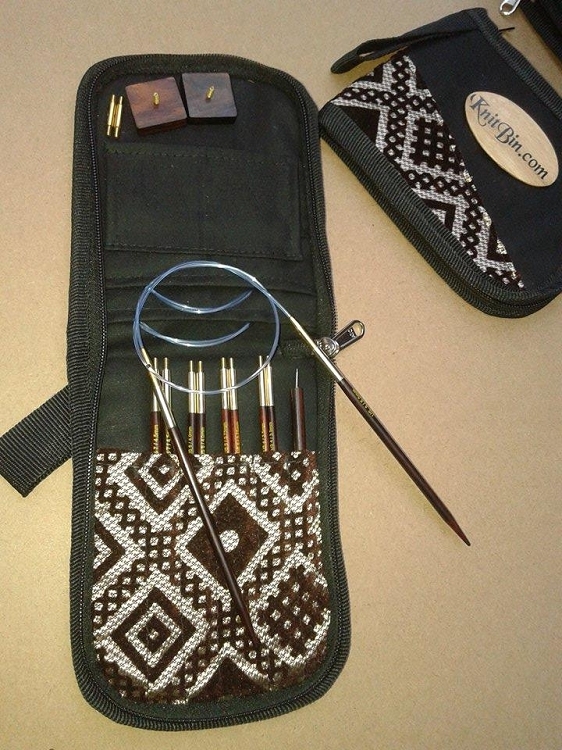 The Complete set includes 10 sets of needle tips (US 4/3.5mm - US 13/9mm) with 4 cables, cable connectors, cable stoppers, and a handled key. Each set also includes an attractive and practical case.